I am absolutely thrilled to finally share the news with you that CQUniversity has officially been recognised as a Changemaker Campus by global social innovation group Ashoka U! This is an incredibly exciting development for CQUniversity as we are the first and only Australian university to join this prestigious group. In fact, there are only two Changemaker Campuses in the Asia Pacific Region – us and the Singapore Management University. 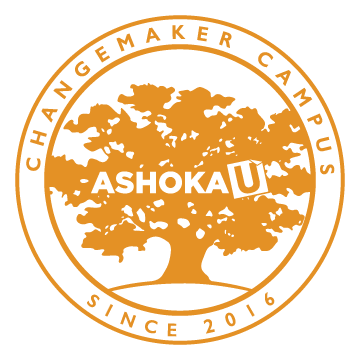 To provide a bit more background, the Ashoka U Changemaker Campus consortium is a dynamic, global network of leading colleges and universities who commit to advancing social innovation at their campus and beyond. These institutions collaborate with each other to break down barriers to institutional change and foster a campus-wide culture of social innovation. The group is made up of only 30 institutions around the world including Arizona State University, Brown University, Duke University and Singapore Management University. Social innovation is a concept that seeks to find innovative and sustainable solutions to social needs or problems. There are many definitions of the concept but ultimately the philosophy is driven by the simple need to improve lives and create positive change within the world around us – something that many of us are already doing without even realising. Our acceptance into this exclusive group comes following a rigorous two year selection process that assessed CQUniversity’s social innovation credentials, plans and corporate values. Our focus on social innovation and becoming a Changemaker Campus is a natural extension to the University’s values of inclusiveness and engagement, and our mission to create connections across our local, national and international footprint for the mutual benefit of the University and our valued stakeholders – whether that’s in Melbourne, Mt Isa, or Mumbai. The solution requires entrepreneurialism, innovation, creativity and audacity to do things differently. It is the sheer boldness and creativity of our approach to education that gives CQUniversity its identity, and it is simply extraordinary that we have captured the imagination of the Ashoka U network of Changemaker Campuses. This is an achievement we should all be extremely proud of! To learn more about our social innovation agenda and Ashoka U please go to www.cqu.edu.au/about-us/history/social-innovation and www.ashokau.org.